While we were in Mexico the other week, we decided to take a day trip to Tulum with some of our friends. I've always wanted to go and with it only being an hour away, how could you say no! There were so many vibrant colors and things to see it was really another world. The downtown is really just a strip of shops and places to eat. You kind of have to find the beauty in it, but once you do it's really quite amazing! We only had an hour to spend downtown so Andrew and I just stopped for a bite to eat (it was so yummy). But boy oh boy was it HOT out. I knew Mexico was going to be hot but I don't think anyone could have predicted this. It was in the high 90's with 100% humidity. I'm honestly surprised my hair stayed this cute for as long as it did. Woof. Thankfully I wore this super airy mesh off the shoulder dress. It was perfect for getting some color on my shoulders while also hiding my sweat haha. 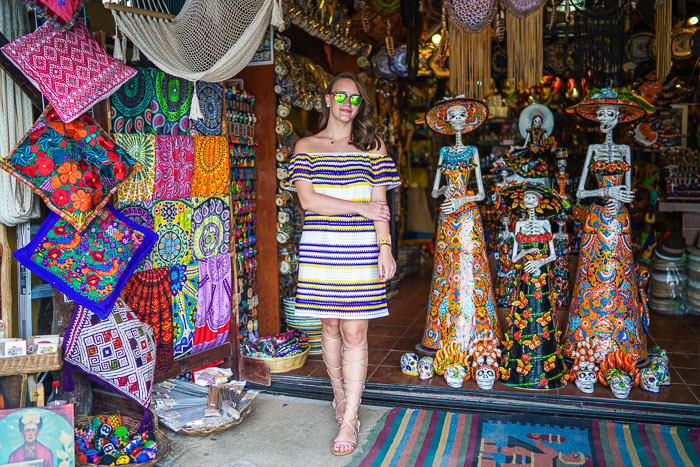 The colors on the dress were beautiful but totally seemed to fall in comparison to the streets of Tulum. Here's to one day going back and spending more time there! I hope you got to see the beautiful ruins as well! 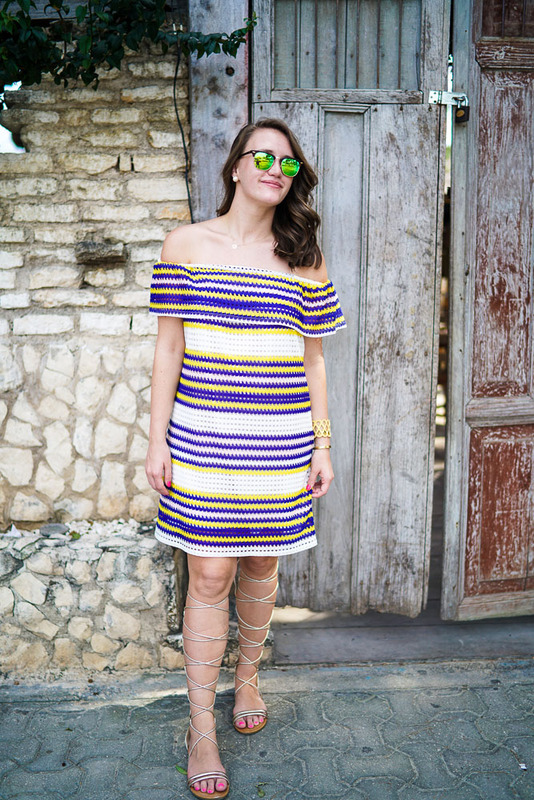 This dress and these sandals are amazing together! Love the picture of you in front of the blankets!